The most reliable dating service helping men from UK to meet single Russian and Ukrainian women. 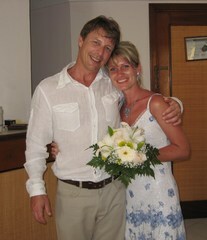 The matchmaking site works with honest marriage agencies in Belarus, Moldova, Russia and the Ukraine. MyPartnerForever offers a reliable dating service for British men who wish to meet single Russian and Ukrainian women who are seeking a life partner. We work with the best marriage agencies located in Belarus, Moldova, Russia and the Ukraine. Each of our partner agency owners is an experienced matchmaker who offer excellent matchmaking services aimed at creating serious relationships between their single women and single men from UK and other countries. Russian and Ukrainian women have the reputation to become charming wives who are family oriented. It is not a secret that many men from UK and other countries of the west have more and more difficulty to find a life partner who is family oriented in their own country. In a similar way, many single women from Russia and the Ukraine cannot find locally a man who wishes to engage in a serious relationship. It is not surprising that thousands of men from UK and different countries are attracted by these women and travel to Russia and the Ukraine to find a bride. Why would a Man Travel to Russia or the Ukraine to Find a Wife? Which Qualities do Russian and Ukrainian Girls Possess? It is a fact that, each year, thousands of men from UK and different countries travel to Russia and the Ukraine to find their life partner. Many reasons can explain this phenomenon and, according to us, the main ones are that these girls are generally quite beautiful, when not absolutely gorgeous, and that they possess the traditional family values that many British men, and men from different countries, are looking for in a life partner. Despite that most men find their life partner in their own country, there are still many who don’t have this chance. As we all know, life is not eternal and when the years go by and we remain single, loneliness becomes more and more present. This is when the idea of looking for a life partner in different parts of the world arises. Of course, many regions offer the possibility to find a life partner, but the fact remains that Russia and the Ukraine remains very popular countries for this purpose. Why such Beautiful Women Cannot Find a Life Partner Locally? Why are they Looking for a Husband Coming from the Outside? Browsing the numerous dating sites offering the possibility to meet single girls from Russia and the Ukraine, a question arises: how is it possible that such beautiful girls cannot find a life partner in their own country? The main reason is that they face a very similar situation as many men from countries of the west do: they cannot find locally a life partner who wishes to engage in a serious relationship where the family remains the priority. One of the factors explaining this situation is the demographic imbalance. According to the 2002 census, Russian and former USSR countries have a population composed of approximately 10 million more women than men. It is easy to understand that many women from these countries will never find a life partner locally. As many men from UK and other countries of the west do, many single Russian and Ukrainian women decide to broaden their search of a life partner to other regions of the planet. Generally speaking, and to the best of our knowledge, they are not looking for a country in particular as they are looking for a good hearted and decent man with who they will share love and build a serious relationship leading to marriage. Of course, to leave their country, their job, their family and friends is a big decision and it is normal that they wish to emigrate in a country that offers a good standard of living. It is frequent to see Russian and Ukrainian women being part of couples in countries of Western Europe, America, Australia and many other countries. Russian and Ukrainian brides are reputed to give their husband an unconditional love. Although this may sound exaggerated to many men, most who are married with a Russian woman will agree with this. They also have the reputation to work hard to keep their family together. In other words, they won’t give up on their husband as easily as we often see it happening nowadays. Of course, as any contemporary women, they wish to be respected in all sense of the word. Typically, when a Russian woman gets engaged in a relationship, her love t her husband does not depend on material goods, the frequency of traveling, etc. As long as they feel love and respect from their husband, they will keep giving him an unconditional love, regardless of external factors. Women from Russia and the Ukraine have kept the traditional family values and they consider their husband and family as the most precious in life. Russian brides are also known to have the ability to easily adapt to different cultures and traditions. Although many of them have a higher education and all it takes to develop a personal career, they don’t feel the need to do so and to be financially independent. This is another aspect that makes them so appealing to men from the west. They trust their husband so much that they don’t mind putting aside their career and personal autonomy. This is definitely something hard to find nowadays in many countries of the west. And, that lack of trust is the cause of many separations and divorces, even though the couple had a fair chance to resolve matters and remain a happy couple. Furthermore, they are excellent housewives and great hosts. Your guests will be amazed every time they will visit you. We have what can be considered as the most reliable anti-scam policy in the industry. To begin with, we, the owners of this site, take every step to ensure we work only with honest and reliable marriage agencies. Each one of our partner agency owners is an experienced matchmaker who can make the difference between a woman who is genuinely seeking a life partner and a scammer. Every single Russian or Ukrainian woman displayed on our site was met by our agency owner and staff and validated her identity with passport in hands. Note that the Ukrainian passport also attests the marital status of the person. The ladies then fill up the form with her personal information that is displayed on her profile page. We can guarantee that each woman is the person that you see on the pictures and that she is actively seeking a life partner. Our partner agencies also play a very important role at providing a wide range of services to help foreign men who travel to their city to meet their correspondent. Unless one speaks and read Russian, it is advised to put aside the adventurous spirit and use the services of our agency. Their driver will wait for you at the airport with a sign with your name on and will bring you to your apartment. Our agency and their staff will be present with you and your lady during the first meeting and assist with translation. In fact, they will be more than happy to answer your questions and help you during your whole stay so you can concentrate on the goal of your trip. I am Alain Lalonde, British citizen, living in the Montreal area. Following a divorce, I, as most people, relied on destiny to find a life partner. Several years went by and I remained single. I began helping destiny by subscribing to a local dating site. I was amazed to see the number of people who were seeking a life partner with the help of the Internet and a dating site. However, again, the years went by and despite several meetings, I remained single. The fact is that I could not find a woman who shared my family values and who wanted to invest herself in a serious relationship. And, it seemed like there was always something wrong with me; too fat, too skinny, too much hair, not enough hair, too far from her place, too close to her place …and the list goes on. It may sound a bit exaggerated but it really is an aspect of local dating in America. I then decided to broaden my search and to use international dating sites. Again, I was amazed to see not only the number of people using these sites, but the number of sites as well. The next step was to decide in which region of the world I would look for my future life partner and I decided to look in Eastern Europe. The next task was to find a site that sounded honest and reliable. There were dozens of sites offering to meet Russian and Ukrainian women and to say the truth, most of them did not sound reliable at all. After more than a week at spending most of my evenings analysing and comparing different sites, I chose one and wrote to several ladies. At the same time, Yuliya (my actual wife), a Belarus citizen living in Grodno, found herself in a similar situation. Despite that she was a very smart and beautiful woman (and still is ) and that she possessed many qualities sought by men (traditional family values, etc. ), she could not find a life partner with destiny alone. Having no internet access from home and not crazy of the idea of registering directly on dating sites, she decided to register with her local marriage agency. Having helped destiny each in our own way, we found each other. She liked my first letter and I liked her reply as well. We kept writing to each other and deepened our relationship. We soon reached the point where we both wanted to meet in person. Our first meeting took place in her hometown of Grodno, Belarus and it was a very nice meeting. We then kept contact everyday by phone, emails and Skype. A few months later, we met again, only this time it was in Cuba. 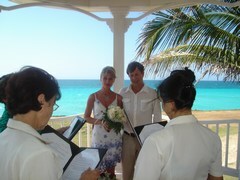 We got married the following month and Yuliya moved with me in UK a few months later. As I write these words, we are now living together for near 5 years and our love just keep growing. Our story may sound like a fairy tale …but, it is not the case. Our story is real and, each year, thousands of men and women live a similar story. We truly believe that any serious and decent man who is looking for a life partner in Belarus, Russia or the Ukraine can succeed. Anyone who travelled Eastern Europe, especially Belarus, Moldova, Russia and the Ukraine, makes the observation that the girls are generally very beautiful. They are happy to show their femininity and dress in a very elegant way on a daily basis. They wear nice dresses and high heels regularly, not only on big occasions. And, of course, the mini skirt is still very much in the fashion. Maybe it is because a majority of these girls are not overweight and are quite comfortable in these clothes. A question arises: how can these girls be so beautiful, not to say absolutely gorgeous? The demography is certainly part of the answer. In many Eastern European countries, there are far more women seeking a husband than single men. This creates a big competition among single women. In order to attract one of the few single men who is looking for a serious relationship, they must always look their best. Thus, Russian and Ukrainian girls do hairdressing, makeup and dress elegantly on a daily basis, not only on occasions. With the help of our dating site, you can meet single Russian women who are seeking love and a life partner. Because of the lack of available men in their own country, thousands of Russian and Ukrainian girls register with their local marriage agency to broaden their search of a husband. This enables them to get in touch with men from different parts of the word, who are also seeking a life partner. Their local agency offers them numerous services including the use of their computers, the possibility to meet their correspondent on Skype, services of translation, etc. These services are free for them to use. They also offer a wide range of services to men who are traveling to their city to meet their future Russian bride. Each year, thousands of men travel to Belarus, Moldova, Russia and the Ukraine to meet single women who are seeking a life partner from UK and other countries of the west. In parallel, each year, thousands of Russian and Ukrainian women leave their country to join their husband in different countries. You are attracted by Russian girls? Why not try your luck? Who knows, one of these beautiful women could someday be your charming wife!